J Crew sent out a lookbook early in the year featuring upcoming spring and summer items and from the moment that I laid eyes on the deck stripe skirt, I knew that I *needed* it. I intended to copy the styling from one of the store windows at my local J Crew...I loved how they tied the arms of the sweater into a cute little bow. (I'm such a sucker for those little details.) Unfortunately, the arms of my vibrant flame tippi weren't long enough to make the bow...Dangit! 5. Nominate other bloggers for the award – link to their site – let them know they’ve been nominated! I adore this skirt and have been trying to resist buying it by telling myself I have too many pencil skirts already. You're not helping me!!! I love it on you. ohhhh i've been lusting after this! looks fantastic on you! Me too...lusting over this skirt all month. I want it but fear it will be worn one time and sit in the closet with the other one-timers I recently purchased...oh but if it goes on sale...I could bite. Love the whole look on you. Maybe you'll get that sale before long...the blue one was on promo for a while but I noticed the other day, it was back to regular price. Geesh, J Crew and their pricing!! Aww, thank you so much...you're too sweet! and you're oh so, welcome! I LOVE this skirt and your outfit! You have the greatest style. Initially, I purchased the Coastline Blue only in the Deck Stripe Pattern. Then, I decided that I need the Tangier Orange. By the time I decided on the orange, there was only ONE left. Thank goodness for my great VPS who snagged it for me! And, thanks SO much for the blog award. You're super sweet, and I'm super grateful!! Oh, how many times I've waffled on an item and then had to scramble to track it down. :o) Sounds like you have a wonderful PS! 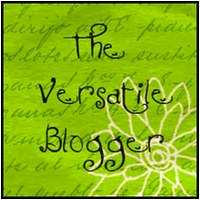 As for the blog award, you are welcome! You deserve it! Hi sweetie, thanks so much for the award!!!!! A girly-girl living among lots of testosterone...I am a wife and the mother of one 22 year old son and three fur children. I work full-time in finance and love fashion. I especially have a weakness for shoes....A girl can never have too many pairs of shoes. Visit Andrea's profile on Pinterest. Fine fabrics and craftsmanship are disappearing faster than glacier ice.